When I was writing about why you shouldn’t trust the Better Business Bureau (BBB), I got an interesting comment from Contrarian about something else consumers should know: city specific magazines hire sales people to contact companies directly and sell their “Best of” rankings for a price. I didn’t know that was true, and I don’t have any evidence to back it up, but Contrarian has been spot on with his analysis on any of things in the past. More important than that though, it simply makes sense. There are a lot of consumers that use those those “Best of” rankings to make their purchasing decision. It wouldn’t surprise me if Boston magazine realized that space in its Best of Boston was a valuable commodity and tried to capitalize on it as such. I’m not saying that they do that and again, I have no evidence, but I’m just saying that it isn’t just plausible, it seems probable to me. Similar to that though, I heard two separate people who don’t know each either, tell me of businesses that have gotten what seems to amount to extortion from Yelp. They said that their bad reviews were at the top of the page and that for a fee (perhaps combined with an advertisement, I can’t remember), the company would feature some of the better reviews ahead. One person told me that they her friend wrote a $3000 check on the spot. The other business owner declined. One of the stories is at least a few years old now and I can’t say that Yelp as a publicly traded still works that way. Yelp’s site today says the default sort doesn’t take into account advertising. I took Contrarian’s Best of [City X] example and applied it to the advertisements that you see in the airplane magazines for the best steakhouses and best doctors. It’s very clear to me that they are advertisements, they even have the advertisement size box on the page instead of a full article written by someone reputable. Rational Therapeutics has an article about being approached to be featured in such an advertisement. This is an obvious advertisement to me, even though the magazines claim to vet the paying doctors and steakhouses, but Energi Gal mentions that she falls for it occasionally and as a very successful pharmacist she’s pretty bright. My argument was that this the airplane magazine/best steakhouse scam was pretty easy to spot and the BBB being untrustworthy was not. Then Contrarian suggested that MLM is a pretty obvious scam. I personally don’t believe it is quite obvious. If it were, I wouldn’t have 6,000 comments on my MonaVie article with people claiming that the fruit juice cured every medical condition under the sun. If it were such an obvious scam, you’d think there wouldn’t be 15 million Americans caught up in it. This gave me an idea: we need to have a scam scale. I’m thinking something along the Mohs scale of mineral hardness, but it would clearly be more subjective and less objective. Maybe I could make it scientific by allowing people to vote. I get the feeling that it wouldn’t work, because people with a vested interest in MLM say that it isn’t a scam at all. I put the old-fashion X-Ray specs that kids bought in the 1950’s as very small scam. I hope few adults actually thought they were getting glasses that could see through things. In the worst case you were out a few dollars and moved on with your life. I view male enhancement pills in the mold, I hope most adults know better than to expect them to work, but at least you aren’t typically out too much money. I thought the Best of [City X] is a little more devious, because it isn’t obvious to the consumer that sales reps may or may not have sold off the position for best BBQ restaurant in town. You’ll see that in the 7.5 – 9 range, I have various multi-level marketing companies. I think they are particularly devious as they often pitch themselves as legit business opportunities when over 99% of people lose money in them and their products are often claimed to be of a higher quality than they are. Some of them like ViSalus will give people an incentive to take out a big BMW lease in their own name and then stick them with that burden if their sales drop… a very devious scam in my view. MonaVie is particularly devious in trying to convince consumers that two ounces of their juice is equal to eating 13 fruits and vegetables – I can’t tell you how many distributors fall for that. All these MLMs are fairly harmful because month after month you lose money buying overpriced product in hopes of business opportunity that isn’t there. In the case of MonaVie, it is $1600 a year in just juice… and this doesn’t factor in other costs of running the business which can run 5 times that. In the case of MonaVie some people actually stop taking their medication, which is harmful in more than just a monetary sense. Now it’s your turn. What other scams should I include on the scale? Do you agree with my ratings or not? Finally, feel free to point me to scam scale that already exists. That’s par for the course as most of my good ideas are already implemented elsewhere. Today I’d like to tell you about a scam that I find interesting. I find it so interesting because seemingly intelligent people fall for it. It’s not like the Nigerian Prince scam that we can all joke and laugh about, because it is so ridiculous that no one knows anyone who actually falls for it. There’s a product of blended fruit juices – exotic fruit juices. It comes in a 750ml wine bottle that looks more suited for expensive. That bottle retails for around $50 and the suggested serving size is 2 oz., twice a day. The theory is that it packs a bunch of antioxidants. The company has a scientific board of doctors to give the product an air of legitimacy. The company also puts a large focus on its charity contributions in an effort to market the company. The company touts the patents it has. Many of its customers don’t realize that patents are granted for ridiculous things – things that don’t necessary work. The business model is a multi-level marketing one. It is very complex and includes uses a bunch of confusing terminology. Some of this terminology involves distinguishing amongst sales of Personal and Downline creating a point system of PV (Personal Volume) and GV (Group Volume). There are at least 9 “ways to earn money!” marketing designed to nab the suckers who think that more ways to earn money is better. If a distributor wishes to participate in most of these ways to make money, they are required to purchase a case of 4 bottles each month at a cost of around $140 to them. In this way, the company ensures that everyone involved in the pyramid has subscribed to paying them $140 a month or $1700 a year with the renewal fee to be a distributor each year. The compensation plan allows for a luxury car bonus. While that sounds great, if a distributor doesn’t maintain the sames level (replacing people who quit after they realize that they aren’t making money), the distributor is on the hook for the car lease themselves – a financial burden that many find out the hard way. There is an annual get together for all distributors that they have to pay for out their own pocket (traveling costs and hotel are extra). This is big win for the company because they get more income from its distributors who effectively pay for their own brainwashing. The compensation plan ensures that around 99% of people will never make money in the business. That’s why the constant motivational meetings are necessary. Did you Guess who the Company is? If you are familiar with Lazy Man and Money and you probably think I’m writing another article about MonaVie. After all I’ve written enough about MonaVie over at MonaVie Scam to prove that MonaVie is a grossly overpriced product, with little nutritional value, wrapped in a poor business opportunity that appears to be an illegal pyramid scheme, which is itself wrapped in illegal medical claims, supported by nonsensical “scientific” studies, and tied to a fraudulent charity. However, this is really an article about Jusuru. Don’t be upset, you didn’t really have a way of knowing which juice scam I was referring to. In fact, I almost didn’t write about Jusuru, but a friend convinced me that it was probably worth it to warn consumers before it got along too far. An ounce of prevention is worth a pound of cure, right? I could have gone into a lot more detail about the individual aspects of Jusuru, but in many cases you may wish to read that MonaVie website and substitute “MonaVie” for “Jusuru” just like you could have with most of this article. Dr. Brady and Mike Lattuca participating in what sounds to me illegal medical claims about the product. Meet the New Juice Scam. Same as the Old Juice Scam. Heed the The Who’s words and you Won’t Get Fooled Again. I had presumed that if I showed people how Jusuru is a MonaVie copycat in just about every way, they’d be wise enough to understand that they just said, “Hey look, they are getting people to pay outrageous prices for fruit juice… we can do the same thing.” Clearly there are still a subset of people, likely Jusuru distributors, who aren’t able to make that mental connection. Four bottles of red wine is 3 liters (a wine bottle is 3/4s of a liter or 750ml), so to have as much resveratrol as 4 bottles of red wine, it could have as little as 3mg per 2 ounces (0.99 * 3 liters) or as much as 15mg per 2 ounces (5.01 * 3 liters) of reseveratrol. I found NutriGold Resveratrol GOLD, 500mg, 120 Capsules on sale for less than $25 (as of this writing: 11/17/2012). 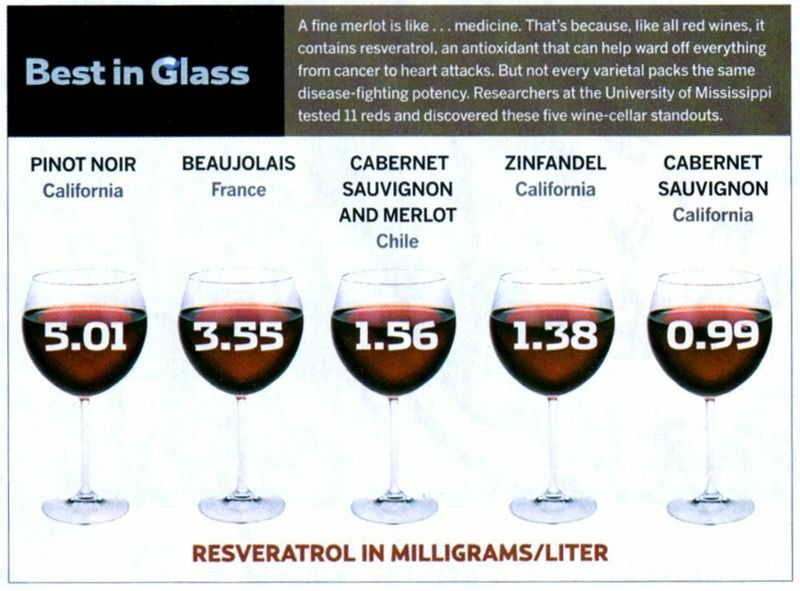 A single pill will give you somewhere between 33 and 166 times the amount of resveratrol in a Jusuru serving (depending on their fuzzy claim of the resveratrol in wine and not specifying specific quantities). In any case there are about 12 servings of Jusuru in a bottle, so a single pill is worth anywhere from 3 to nearly 14 bottles of Jusuru. If you want to get your resveratrol, you can either spend $25 for those 120 pills or you can spend $14,400 (3 bottles/per pill * $40/per bottle * 120 pills) to $67,200 (14 bottles/per pill * $40/per bottle * 120 pills) to get it from Jusuru. It is of note that Jusuru makes the claim that “it will not change the efficacy of the product in any way.” Since there are no clinical trials, the only way they can be sure is by admitting that Jusuru has zero efficacy and hence the change keeps it’s efficacy at zero. Furthermore, if resveratrol can be replaced without changing the efficacy of the product, it is logically not a critical ingredient. Lastly, it is particularly telling that Jusuru uses the marketing term Superfruit rather than a more scientific term. Reservatrol is not proven to do anything and it may not do anything. Jusuru’s marketing of reservatrol in tying it with the French Paradox only tells a portion of the story… a portion that my not be related to the French Paradox at all… even if the French Paradox exist… which it might not. The amount of resveratrol in Jusuru is so minimal that getting an equivalent amount elsewhere can literally save you tens of thousands of dollars. Jusuru itself dismisses the importance of resveratrol by replacing it in some of its juices. In a letter with a subject of Deceptive Marketing for Jusuru International Opportunity and Products. TINA also found deceptive income claims and wrote that they’d be warning the FTC unless the issues were corrected to their satisfaction. You are free to make up your own mind of whether Jusuru is a scam. I let you guess my opinion.